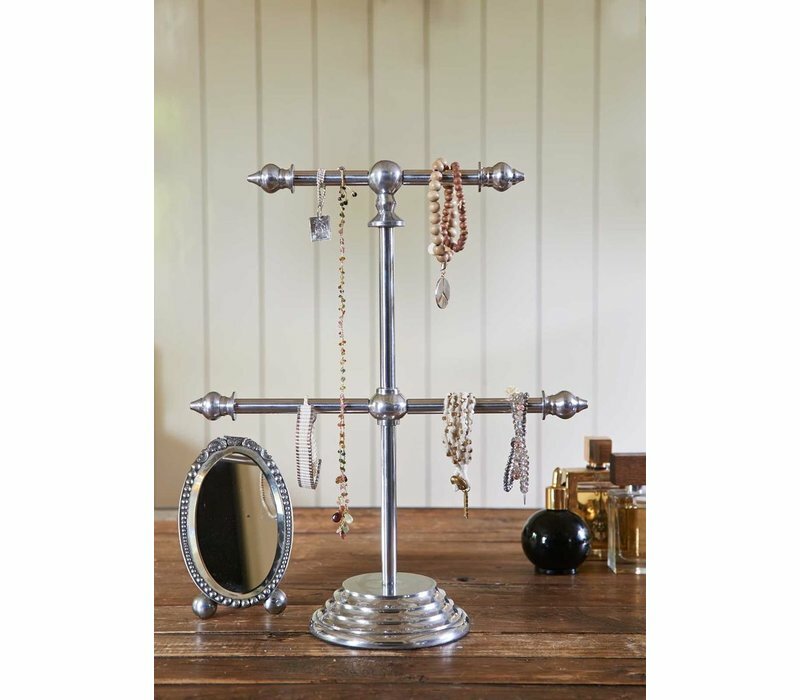 Display your jewellery in a beautiful and practical way with the Classic Bijoux Stand. 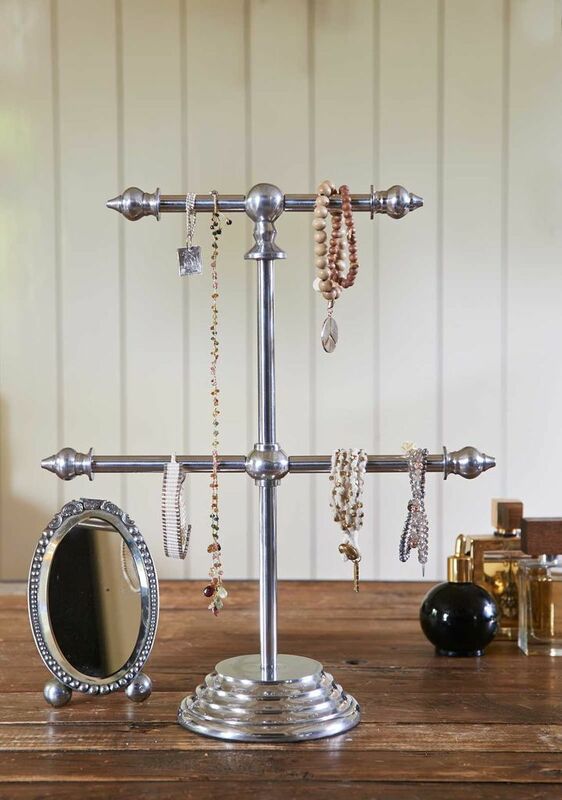 A simple stand with four arms perfect for bracelets, necklaces and more. Would suit any decor easily. 38cm height. Material: aluminium.